Offering a convenient location off motorway I-285, this hotel is a short distance from Stone Mountain Park as well as the attractions of downtown Atlanta, and offers thoughtful amenities. The Hampton Inn Atlanta Stone Mountain is only 4.8 km from the Stone Mountain Park. Many scenic trails, lakes and wildlife fill the area. The CNN Center and Centennial Olympic Park are also a short drive away. Guests at the Stone Mountain Hampton Inn can begin the morning with a free hot breakfast. There is also a state-of-the-art fitness centre located on-site as well as an outdoor swimming pool. 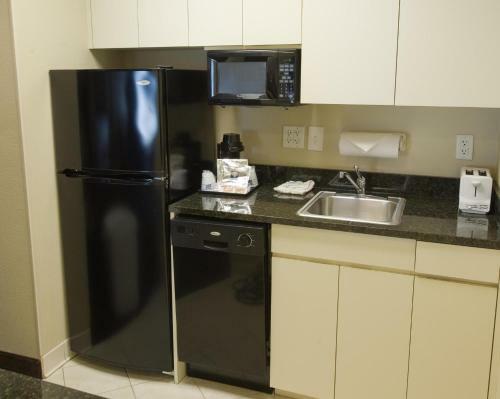 the hotel Hampton Inn Atlanta-Stone Mountain so we can give you detailed rates for the rooms in the desired period.